We need your Help! 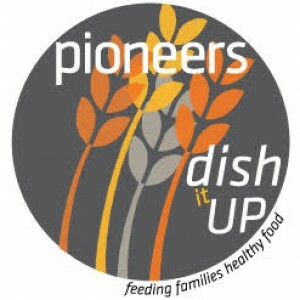 Once again the National Pioneers is hosting Dish It Up: Feeding Families Healthy Food. This is a massive volunteer initiative spanning the U.S. and Canada with a goal of feeding a healthy meal to 1 Million people who struggle to put food on the table each day. The national project will kick off on World Hunger Day (Oct 16th, 2015) and run thru Nov 7th, 2015. We the AT&T Pioneers (Chapters, Councils and Clubs), are needed to help make this effort a SUCCESS! Collect healthy, nutritious, non-perishable food donations, and transport these donations to food banks. Fill backpacks with healthy snacks or easy to prepare “weekend” food for children. Or, serve food at local shelters or soup kitchen. These are just a few ideas. But we are sure there are many more that you might already have. Please encourage your Pioneering teams to participate in the event! If you’re not already planning a “Dish It Up” event for the Oct 16th thru Nov 7th timeframe, please consider hosting one in your Chapter, Council, or Club project. Please remember to track the benefits of your efforts in Volunteer Now, AT&T’s Volunteerism Portal, and the Dish It Up Reporting Form. For questions or more info regarding this effort go to http://s713557204.onlinehome.us/ or contact Theresa Goff at tgoff51105@aol.com. Every year Mother Nature presents challenges to our families, co-workers, Retirees, and fellow Pioneers in the form of natural disasters. Through 2014, this trend has continued and many of AT&T’s Pioneers (both Retirees and employees) have found themselves in need of support. Remember, it is your financial support that keeps the Disaster Relief Fund available. Take a few minutes and either as an individual, Chapter, Council, or Club and make a donation here. As history has shown us there will always be a need to support those affected by a disaster. Your continued support will insure the fund remains available to those in need. AT&T Pioneers have been supporting the charity Cell Phones for Soldiers since 2008 by collecting wireless phones for recycling. Cell Phones for Soldiers is a nonprofit organization that uses funds from recycled cell phones to buy prepaid phone cards for active duty military members to give them an affordable way to connect with their families—and the project also helps the environment by helping to keep cell phones out of landfills. If you would like to collect or donate personal cell phones from your work location please click here. If there are no bins located at your work location and you would like to be a bin leader click here. Projects & Programs Point of Contact: Betty Byrd (662-773 4113). The importance of “Living a healthy lifestyle” is a message Projects & Programs want to communicate to fellow Pioneers, families, and friends. With this in mind, we thought why not create a Pioneering program across the country that both encourages a healthier lifestyle but also helps you raise money for your favorite charity as well! Pioneers Go the Distance for Charity does just that! Go the Distance for Charity utilizes an app called Charity Miles which is available for download from the App Store and Google Play. Simply download the app; follow the prompts to register, and create #attpioneers as your team. When you are ready to exercise and Go the Distance for Charity, turn on the app, choose a charity, and press start. As you exercise, the app will track your distance and you earn money for your chosen charity. You must Go the Distance and get moving! Bikers earn 10 cents a mile and walkers/runners/hikers etc., earn 25 cents a mile for their Charity. You must Go the Distance (in other words stationary activity does not work with this app). When you are finished, accept your sponsorship, spread the word, and Charity Miles will confirm your good work. This fall, the AT&T Pioneers launched a community service project to upcycle plastic bags into sleeping mats for the homeless. To launch the national project, AT&T Pioneers and employees gathered from around the country to spend more than 300 hours sorting, folding, cutting, weaving, rolling, and crocheting plastic grocery bags into sleeping mats. About 500 bags (which you can accumulate easily if you save them after trips to the grocery store!) go into making each mat. These mats made of recyclable material can withstand all kinds of weather, are lightweight and easy to roll, and provide protection from gravel and dirt. This is a relatively simple and easy way to not only support your community but also keep plastic bags from ending up in landfills or littering our streets. Get in touch with your local homeless shelter to see if there is a need for sleeping mats in your community. To learn how to make the mats, you can watch our demonstration video. Employees record your hours here. Retires please contact the resource listed below to record hours. During the 2014 Pioneers in Motion Conference, the AT&T Pioneers announced a new digital volunteer PARTNERSHIP with the American Red Cross! Today, many of our Pioneer chapters, councils and clubs already support great projects related to human services and disaster relief. Disaster preparedness kits, Hug-a-bears, and other great initiatives have been used to improve the lives of those affected by disasters. Also think about the impact your donations have made to individuals and families in need after a natural disaster via the AT&T Pioneers Disaster Relief Fund. Complementing the efforts of the Pioneers is the creation of a new online training program by the American Red Cross. Their ability to now offer online training opens new volunteer opportunities for Pioneers and volunteers that previously might not have had access to the regular on-site training. With this in mind, join us in our continued partnership with the American Red Cross in 2015 to ensure the ability (theirs and ours) to continually “answer the call” of those in need. Together we can make a difference to victims of disasters! Call For Action is a grassroots Non – Profit organization with over 50 years’ experience (founded in 1963) in providing television and radio stations with local stories from local consumers. CFA sets up and manages hotlines, staffed by trained local volunteers, that help viewers with consumer problems or when a consumer story peaks community interest. CFA works with callers to resolve their issues instead of simply referring them elsewhere. Currently CFA supports 6 of the top 12 markets and have offices in various sized markets throughout the top 120, which has the potential to reach thru their network alone of about 25 million. Projects & Programs shares CFA with you as an opportunity in volunteering to educate and support people affected by these issues is a great way to not only support your communities, but also as a personal growth opportunity. Supporting a non – profit customer advocacy by helping individuals thru the listed issues can only help the volunteer be a more informed consumer as well. Projects & Programs Point of Contact is Walt Adams (828 275 6548). This program was established in recognition of the value the Pioneers, the Company-recognized Employee Resource Groups (ERGs), and International volunteerism brings to the Company and the communities served. Under this program, each Pioneer Chapter, ERG, and International Region can nominate one Public Charity organization to receive a contribution of $5,000 from AT&T. In 2016, Pioneer Chapter applications are being accepted between May 1, 2016 through July 1, 2016. The special AT&T Cares Contribution of $5,000 will be awarded to successful Pioneer Chapter Public Charity submissions before August 1, 2016. The required 50 hours of volunteer time must also be recorded in AT&T’s Community Engagement – Volunteer portal or the Pioneers Volunteer Now Dashboard. no later than December 16, 2016.